Ronald Reagan Washington National - Seattle - Tacoma Intl. Washington Dulles Intl. - Seattle - Tacoma Intl. Minneapolis - St. Paul Intl. - Seattle - Tacoma Intl. Welcome to Emerald City. Built on industries like logging and fishing, Seattle is still a bit rustic around the edges, with creativity at its core. 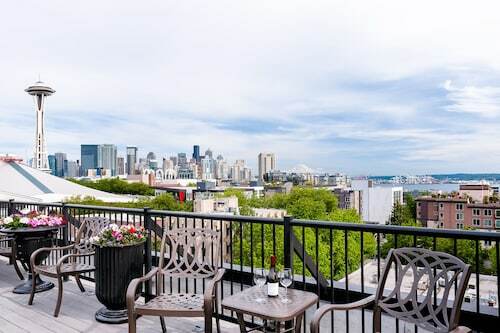 Whether you're having a cup of coffee at Pike Place Market or ascending to the top of the Space Needle, a vacation in Seattle will have you buzzing with excitement, discovery, and a bit of caffeine. This energy is enhanced by the surrounding beauty, which includes the Cascade Mountains, Olympic Mountains, and Puget Sound. Independent espresso bars serving up gourmet java on almost every corner help, too. So, start looking for vacation packages in Seattle today, and get ready to have the trip of a lifetime. The Westin Seattle: Whether you’re traveling for work or leisure, this Westin hotel has the professional amenities you need to stay on task—a business center, conference space, and meeting rooms—as well as simple luxuries, like 24-hour room service and an indoor pool. Walk to Nordstrom and Westlake Center for shopping and step out for a play at The Moore Theatre, Seattle’s oldest operating theater built in 1907. Sheraton Seattle Hotel: Stay here if you’re planning a vacation around an event at the Washington State Convention Center or a premiere…and if you crave morning walks to browse unique boutiques in nearby Belltown. Dine at one of the two hotel restaurants before walking to 5th Avenue Theater for a musical you’re bound to get stuck in your head as you explore the rest of the city. 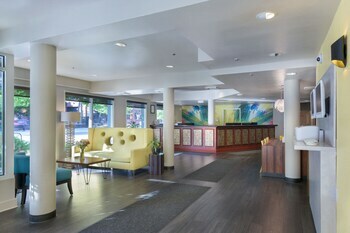 Seattle Marriott Waterfront: When the sea calls, let it woo you to the balcony of your waterfront accommodation. 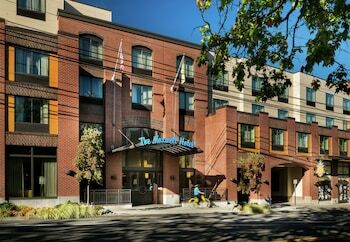 Stay within walking distance to Pike’s Place Market, Steinbrueck Native Gallery, and Seattle Aquarium. Here, the mornings are misty and the nights come alive as downtown shakes off each day with wining and dining and views of Elliott Bay. The Paramount Hotel: Surrounded by shopping and gourmet dining, The Paramount keeps good company with other purveyors of decadence. Understated room furnishings and sumptuous bedding pair perfectly with the hotel’s boutique ambiance. 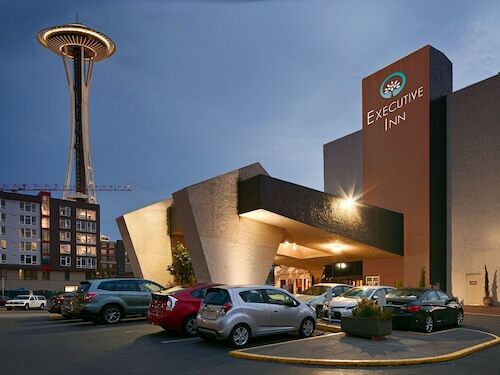 Book a room facing northwest for a view of the Space Needle. If you're into art and architecture, browse the Seattle Public Library (the Central Library), EMP Museum, the Seattle Art Museum, and Chihuly Garden and Glass—all located downtown or in Lower Queen Anne. Inspired by sea creatures and colors and the curved lines of the Pacific Coast, the sculptures at Chihuly Garden and Glass remind you to admire the landscape. Don’t miss the sounds and sights of the picturesque Puget Sound as you wander through west-side neighborhoods; take a moment to look out over the water. Want to take Seattle vacations like a local? You’ll need a key ingredient: team spirit. Catch a fly ball at a Mariners baseball game at Safeco Field in spring or summer, a Seahawks football game in autumn or winter at CenturyLink Field, or a Sounders soccer game between March and November. It doesn’t matter which football team you cheer for back home—when you’re here, you’re the 12th Man, so get swept up in the moment. From Hempfest in August to the Capitol Hill Block Party in late July, Seattle hosts some famous events. Bumberfest over Labor Day weekend is a fun music and arts festival, and the Fremont Solstice Fair in June is always alive with magic and mischief. As you search for the best Seattle package deals, plan your trip around a calendar brimming with city celebrations and cultural events. Come November, browse the Best of the Northwest, a fine arts and crafts show organized by the Northwest Art Alliance. 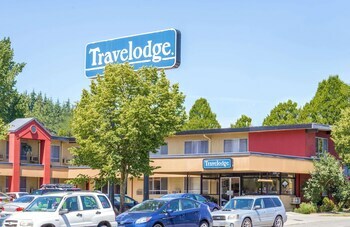 Experience all the artistry, energy, and breathtaking beauty of the Evergreen State with a fabulous yet cheap vacation in Seattle from Travelocity. We offer a price-matching guarantee, so if you find a better price anywhere else, we’ll match it. Known as the gateway to the Puget Sound, Bellevue is Seattle's cousin across the water in Washington State. On the east side of Lake Washington, Bellevue combines the best of both worlds with cultural attractions and easy access to gorgeous scenery. 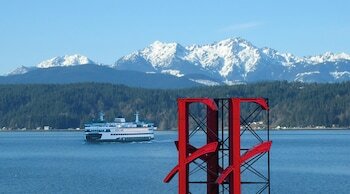 A vacation in Bellevue is sure to satisfy your love of adventure, both urban and outdoor. Kent, the sixth-largest city in Washington, is a pleasant and scenic place offering views of Mount Rainier, more than 70 parks, and close access to numerous lakes. 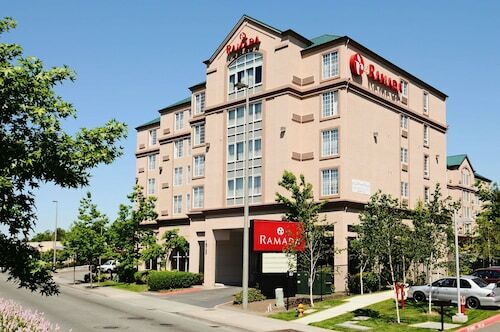 Kent vacations are a good choice for visitors who enjoy spending time outdoors, as well as anyone seeking some retail therapy at the city's many fine shopping destinations. Car rentals in Kent make it easy to visit Seattle, 19 miles to the north, or Tacoma, 19 miles to the south. What currency is used in Seattle? The U.S. dollar (USD) is the official currency used in Seattle. 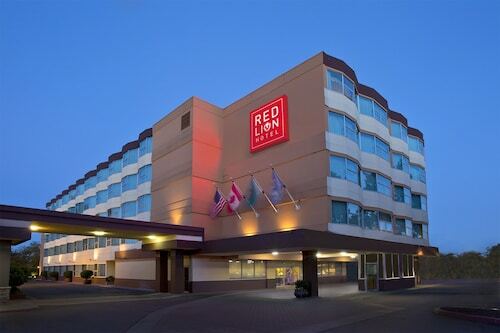 Where is the best place to stay in Seattle? 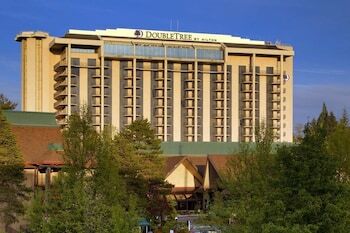 If you want to be among the action,this is where you need to stay. This bustling area provides easy access to many top-notch restaurants and retail stores. 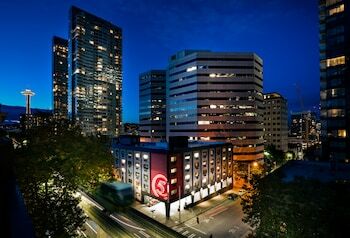 Renowned attractions such as Pike Place Market and the Seattle Art Museum are a stroll away. 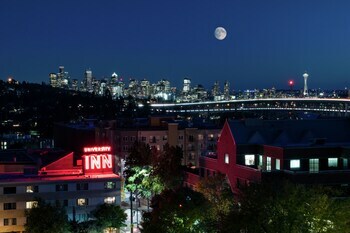 Serious sightseers should book accommodations inQueen Anne, about 2 miles north of Downtown Seattle. Visit the historic Space Needle, spend an afternoon at the Seattle Center or wander around the Museum of Pop Culture. In the evening, stop by Kerry Park and capture a photo of the gorgeous Seattle skyline. What is Seattle famous for? Spend some time exploring the Seattle Waterfront and its seafood restaurants, gift shops and charming piers. If you’re an art buff, the Seattle Art Museum is a must-visit. Wander the halls and appreciate modern and historic paintings, textiles and sculptures. In need of some fresh air? Stroll around Discovery Park or venture out a little further to Mount Rainier National Park. 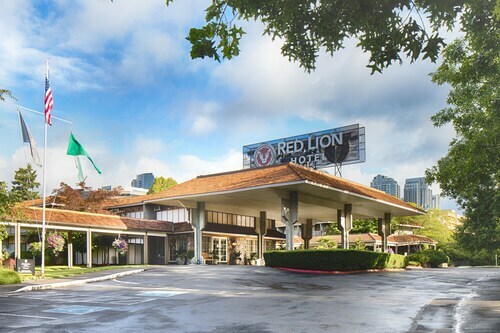 Red Lion Hotel Bellevue is a great base for exploring nearby green spaces, including Bellevue Botanical Garden, Meydenbauer Beach Park, and Mercer Slough Nature Park. Bellevue Arts Museum and the Bellevue Collection shopping mall are on the same square, a 6-minute cab ride from the hotel. Located within 2 blocks of the Seattle Center, the downtown monorail, and the towering Space Needle, this hotel is a mile from Seattle's world-famous Pike Place Market. Located in Queen Anne, this boutique hotel is within a 10-minute walk of Marion Oliver McCaw Hall, Seattle Center, and Museum of Pop Culture. Chihuly Garden and Glass and Space Needle are also within 15 minutes. Seattle Center Monorail Station is 9 minutes by foot and Westlake Mercer St Station is 14 minutes.